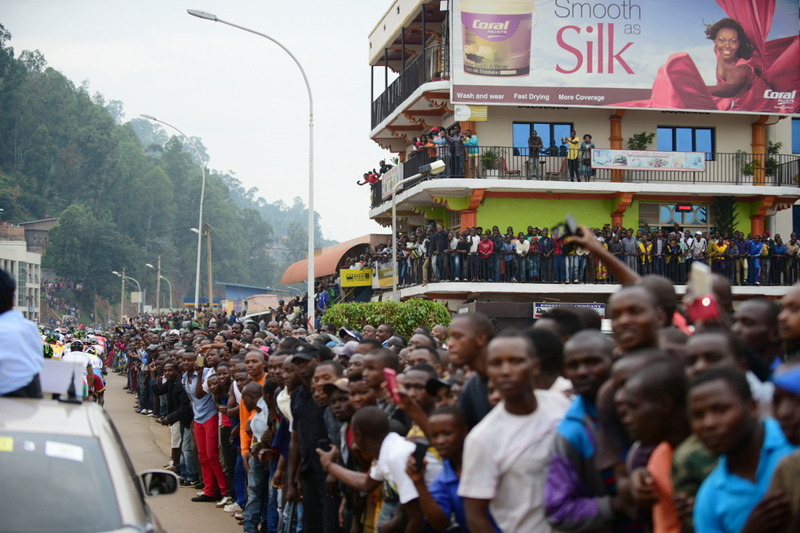 Tagged with "Stradalli - Bike Aid"
We already told a lot the last days about the incredible and enthusiastic atmosphere during this edition of Tour du Rwanda. But what happened today at the “wall of Kigali” was again much more we could ever expect. A nation. A history. Surely not the easiest history, but what this generation of Rwandan’s showed as emotion today, was much more we can even describe with words. 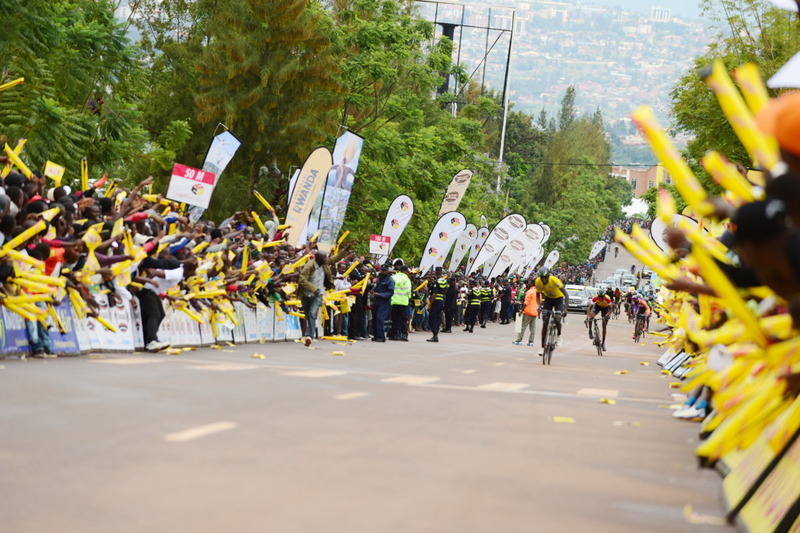 Effusive, frenetic, even rollicking are the words we could try to describe this atmosphere today with and the fans cheered the riders on the “wall of Kigali” - an incredibly steep hill of 17% in the middle of Rwanda’s capital. Pictures that you never would expect in Germany or Europe - the so called “traditional cycling countries”. But those pictures are real. The pictures in the same way as all the emotions. Not just people standing there watching an event that just passes by - no, not at all. These people are fans, enthusiastic and real fans of the sport - the sport of cycling and their heroes - the riders. “After I worked a lot today I was in one of the last groups to save my energy for tomorrow but when I saw these people cheering us that way, I gave all I had again to climb this hill. I just felt I owe it to those people who came here, waited so long and now deserve that everybody gives the same as they did - incredible! I would love to see such pictures in Germany again”, Matthias Schnapka explained after the race - obviously still flashed from such a lot emotion today. But what happened in front of the race? 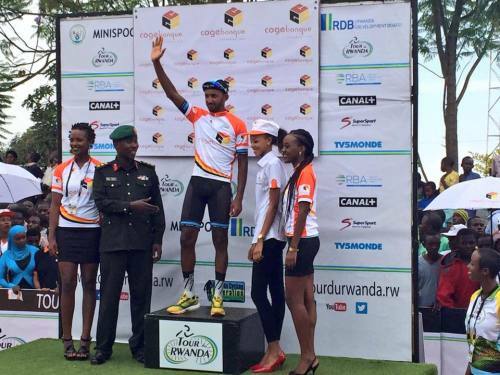 Exactly one year ago it was Jean Bosco Nsengimana who won at the same place in solitude and secured the overall win of Tour du Rwanda 2015. And now? This year the dominator is Valens Ndayisenga. The man from Team Dimension Data - also Rwandan (and overall winner 2014) - climbed with an incredible performance and won the stage in front of his team mate Metkel Eyob from Eritrea. Jean-Bosco Nsengimana finished in 8th place just 20 seconds down on Valens, and moved 1 place up in GC and now ranks 4th overall classification. Just one more stage to go in Kigali tomorrow on a quite hard circuit race and the Tour du Rwanda 2016 will be in the books again. We are sure that the atmosphere will be great again! 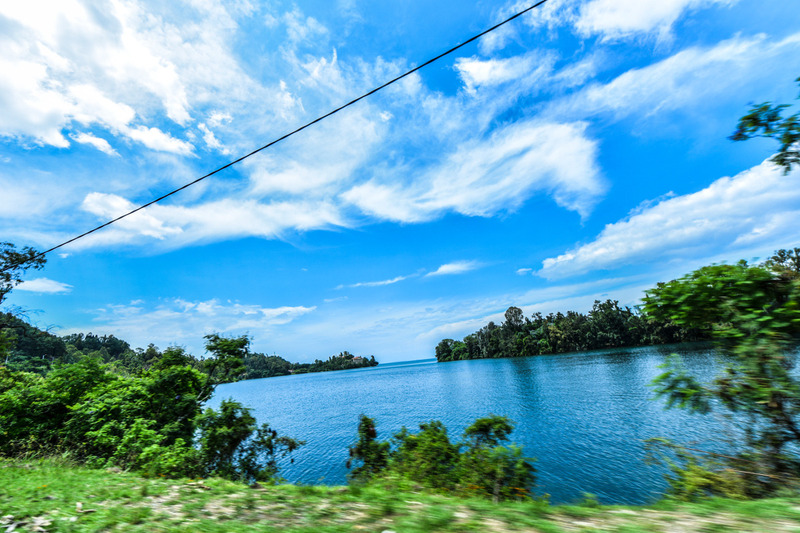 It is called the “country of the thousand hills” and that has a reason. 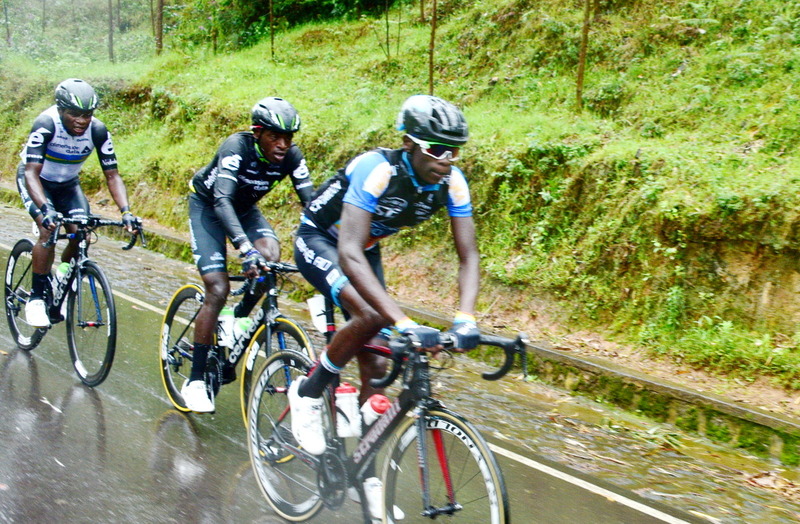 Every day the guys have to fight with endless kilometers of uphill roads and suffer a lot on Rwanda’s roads. While the African riders from Rwanda and Eritrea dictate the tempo in the hills, the European riders have to work very hard to follow them. 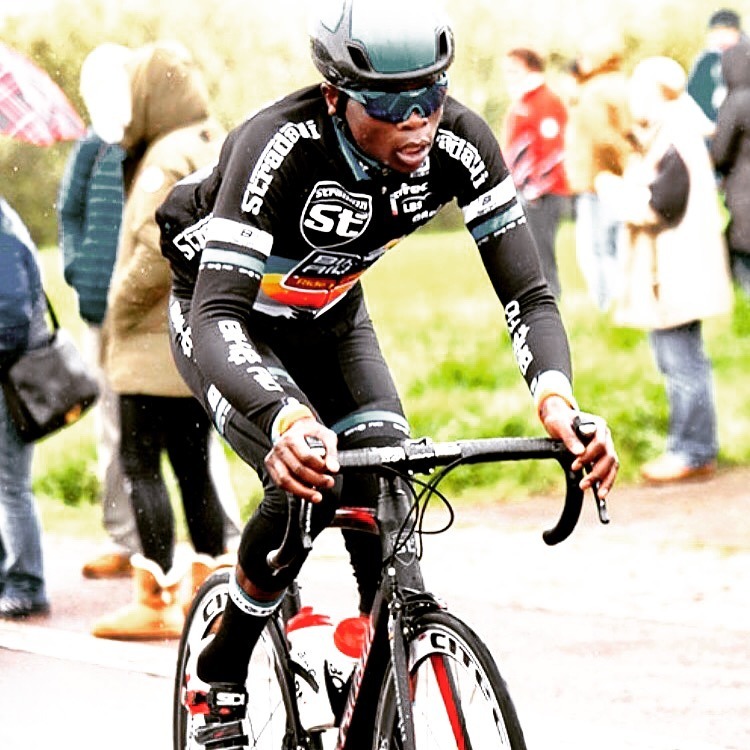 STRADALLI - BIKE AID rider Jean-Bosco Nsengimana knows the roads very well and is every day in the top of the race, so he currently ranks 4th in the GC with just 1.27 minute down on Valens Ndayisenga - also from Rwanda. 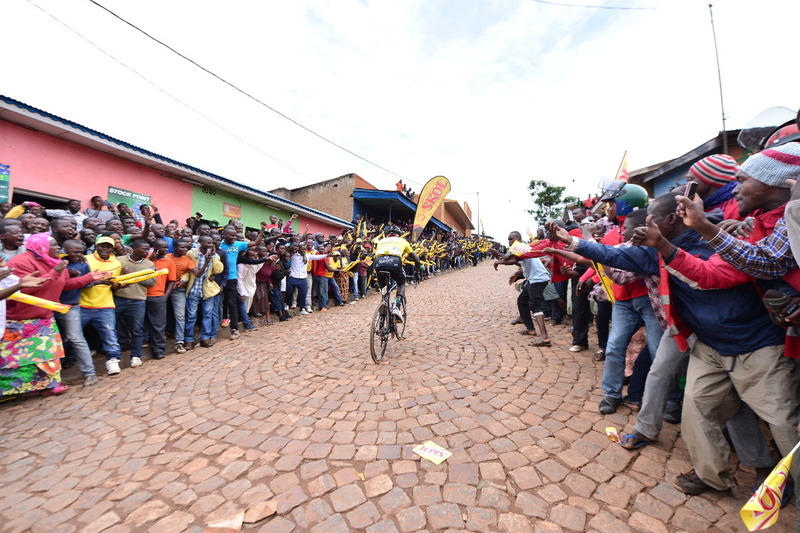 The upcoming days will bring dramatic fight for the GC where Jean-Bosco will definately have a word to say until the race finishes on Kigali’s roads on sunday. 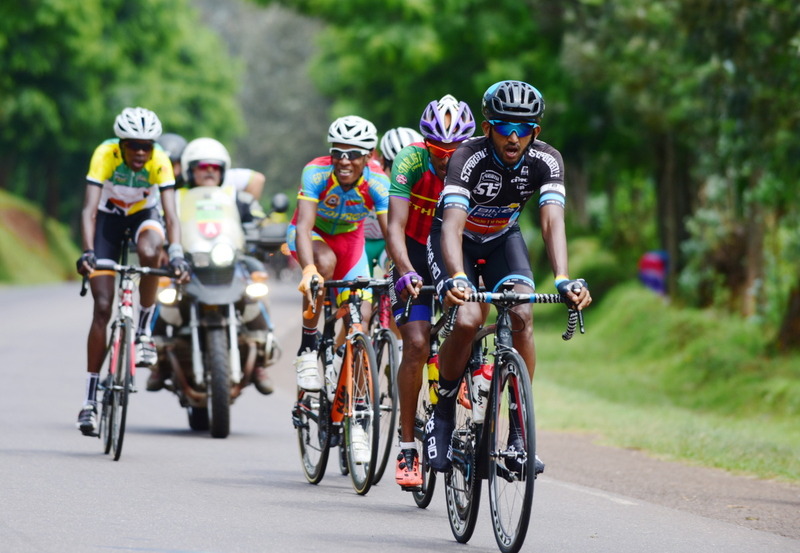 Meanwhile, Meron Amanuel could show an impressive final today and sprint to a good 7th place when Rwandan rider Joseph Areruya took the stage win. 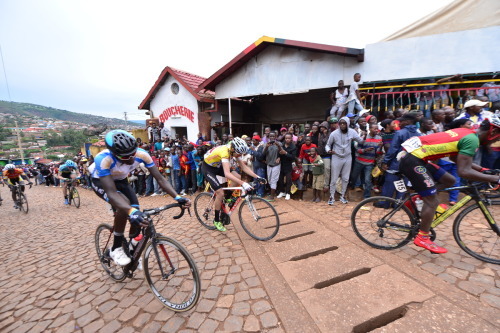 After 96,4 hilly kilometers from Kigali to Ngoma, the Canadian Guillaume Boivin from Cycling Academy Team won the final sprint out of a 19 man front group that managed to break away 30 kilometers from the finish. Also in this group, Stradalli - BIKE AID leader Jean - Bosco Nsengimana who came in with the same time and now sits on 3rd place overall with just 1 second down. "Now it is a perfect situation for us and Bosco, as the gap is just 1 second and the responsibility to control the race is on the Rwandan team, so we can be relaxed and wait for the right time", Yves Beau (Sporting Director of Stradalli - BIKE AID) said. 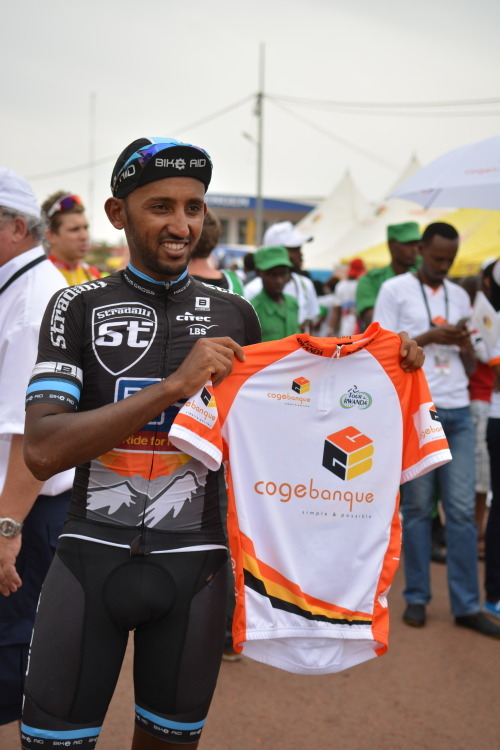 The Eritrean Meron Amanuel won the only KOM of the day and overtook the leaders jersey that he will wear on tomorrow's second stage. 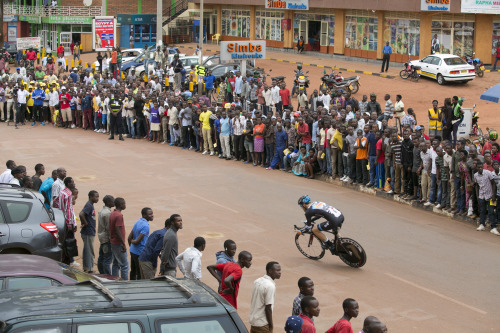 Germany-based Stradalli–Bike Aid are very optimistic of becoming the second UCI Continental team to win Tour du Rwanda. Stradalli - Bike Aid pro cycling teams charge will be led by their Rwandan reigning champion Jean Bosco Nsengimana. 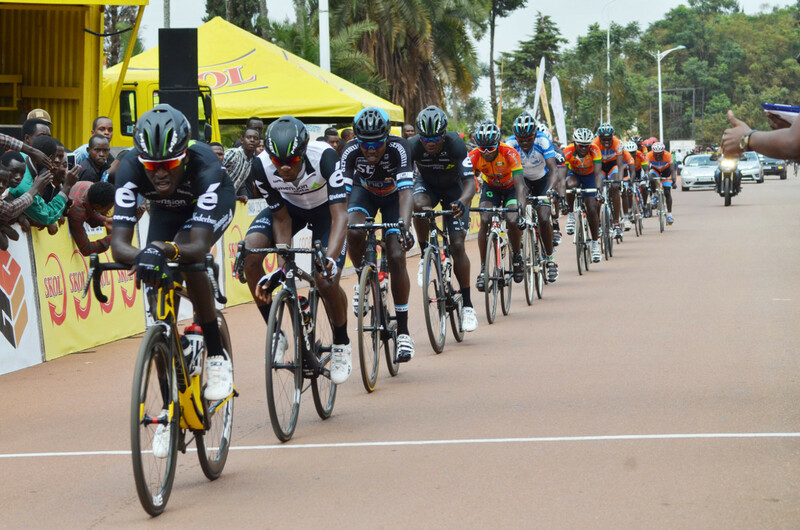 The 8th edition of the UCI-Africa Tour 2.2 race, slated for November 13-20, has been dominated by national teams since 2009 when it became part of the UCI Africa Tour, with United States-based Team Type 1–Sanofi the only UCI Continental team to have won it, back in 2011. However, Stradalli- Bike Aid pro cycling which is among the four UCI Continental teams that will grace this year’s seven-stage showpiece, are confident that their star man, Nsengimana, who joined the club in June, can win the Tour for the second year in a row, provided he gets the support he needs from his teammates. 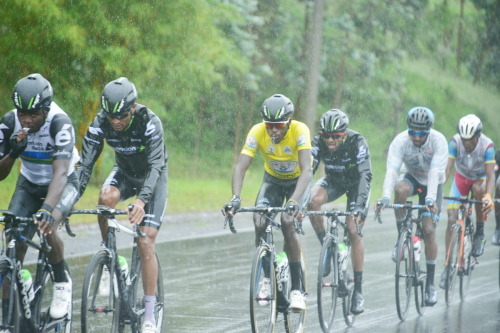 “For the Tour of Rwanda 2016, the goals of the team Stradalli- Bikeaid have a little bit changed; last year, we went for stage wins with Mekseb Debesay ( now world tour racer ) and Meron Amanuel. But this year, we have last year’s overall winner in our ranks and we will give him all the support we can for him to win the Tour again,” says the team manager. 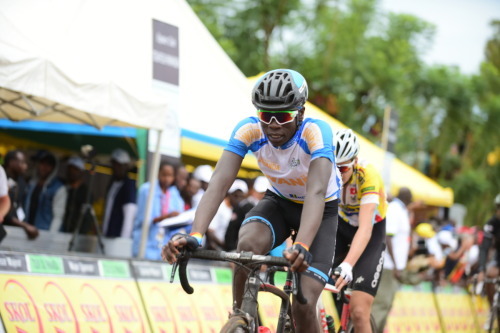 The 22-year old Nsengimana is currently training in Rwanda at Africa Rising Cycling Centre in Musanze District, along with the 15 local riders, who will represent Rwanda. 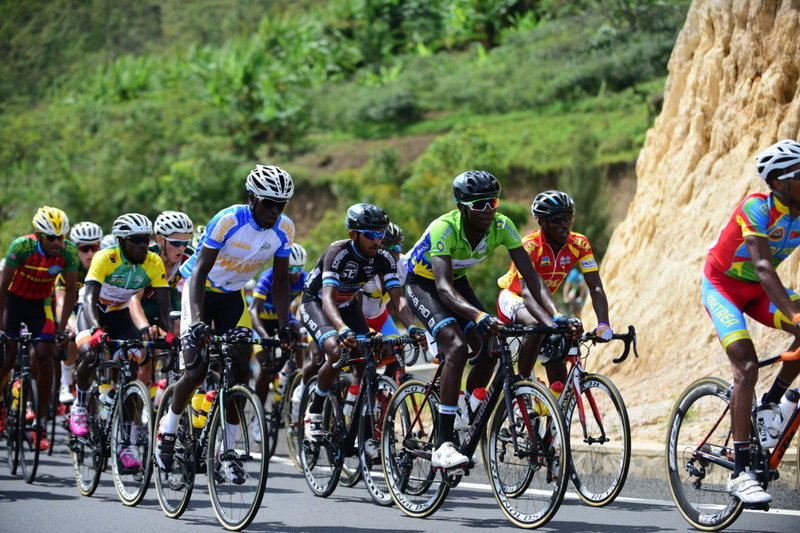 Among other competitors that will ride along Nsengimana includes Eritrean Meron Amanuel Mengstab (winner stage 2 and 6 of Tour du Rwanda 2012), Tanzanian Richard Laizer, Damien Garcia pro racer from France and Mathias Schnapka from Germany. This year’s edition will attract over 85 riders under 17 teams from different parts of the world. 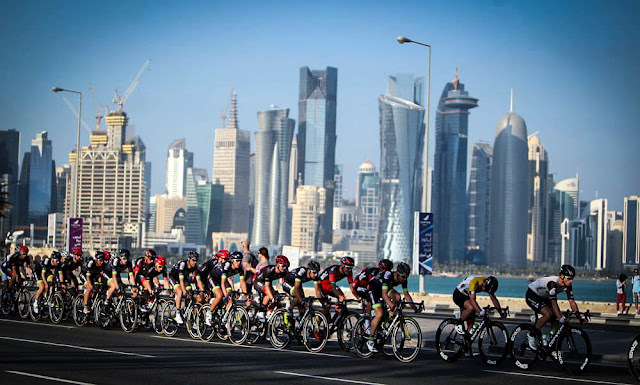 These include eight African national teams, four UCI continental teams, and five regional teams or clubs. It sounds again like crazy news or April's fool, but it is true and real. How can it be that a „small team“ goes to the official UCI World Championships and even more: how to try to challenge the „big guys“ from the World Tour such as BMC, SKY or Tinkoff? Yes, indeed: we have been surprised the same way But we already received the confirmation from UCI in July, so we had enough time to prepare ourselves how we can announce this awesome news. It is a great honor for us but at the same time this opportunity means also a huge responsibility for the team, the riders and all involved people. 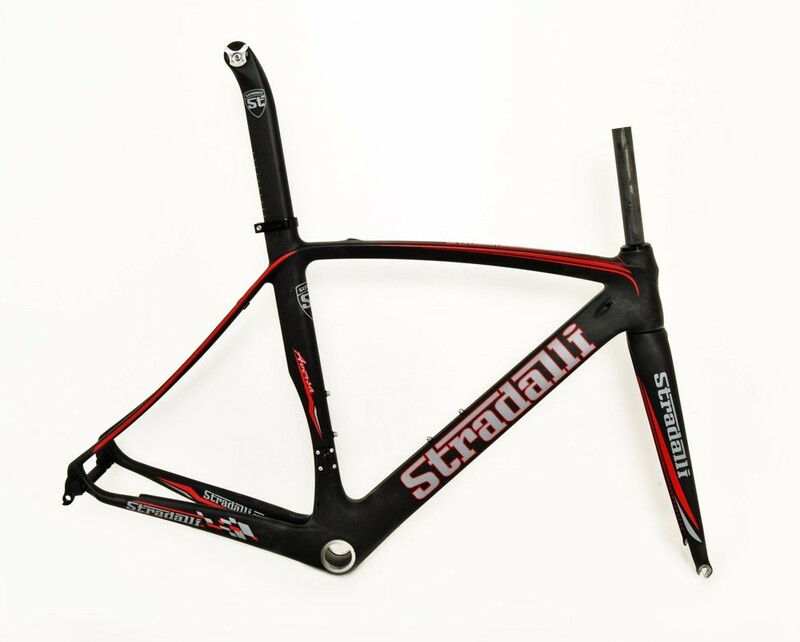 Yes, the guys from STRADALLI – BIKE AID will be for sure the underdogs and the most important thing at this stage so far is sure to be a part of the World championships and that we made it there, but on the other hand everybody is highly motivated and ready to fight with all he has to achieve the best result possible. Six riders will represent the team colors of STRADALLI – BIKE AID besides the best teams in the world. Also our partners and suppliers were the same way excited as we were when we told these news and there was not just one second of hesitation to support us a little extra for this event. 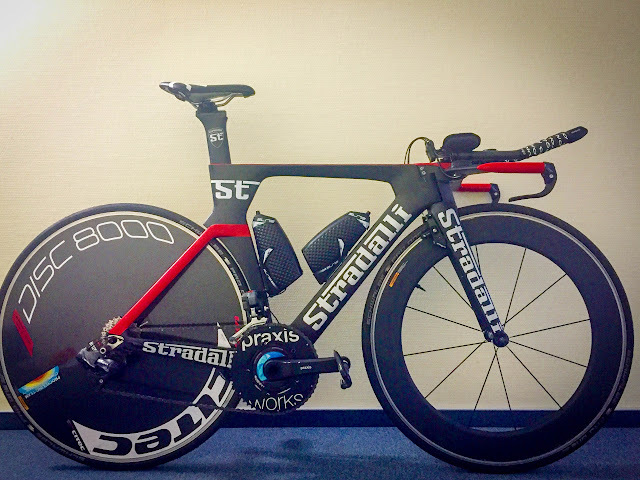 Team Time Trial is a huge invest in equipment, as it is a lot about aerodynamics etc. The challenge was also to adapt all of our equipment for this special demand and without any question the partners like STRADALLI CYCLE (TT – frames), Citec (disc – wheels) or Bollé (TT helmets) or Biehler Sportswear with the new developed high tech TT suits jumped on our side and did their utmost to make all this come true. So our riders will definitely look fast when they will climb the starting ramp in Doha. Given the fact that we actually are a small professional team with limited budget and based on great sponsor and the cycling community we never could imagine that we could take all these steps from winning UCI Africa Tour to participate as a team in the UCI World Championships . We can not achieve more with the given budget“. In 2016 Many top 10 results in races of UCI category 1 and HC but also lot of podium places were taken this year. 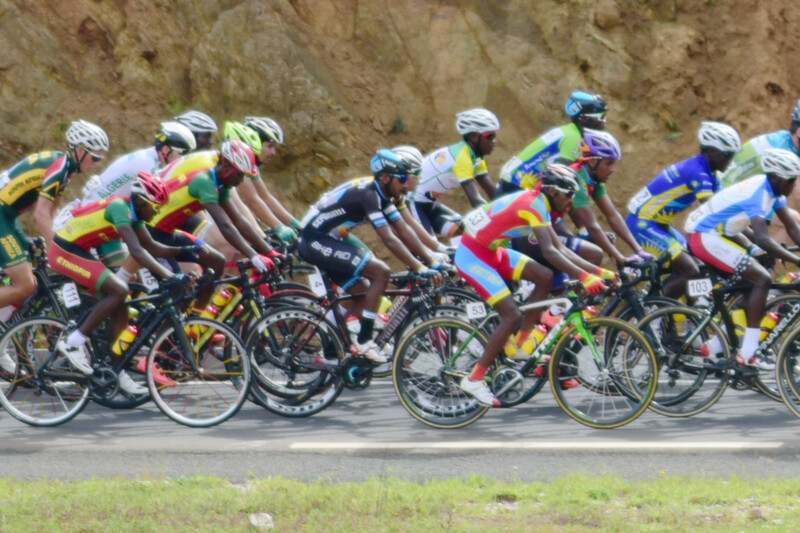 The best result so far was for sure Meron Teshome's 2nd place on stage 11 in Tour of Qinghai Lake (UCI 2.HC) but also Nikodemus Holler delivered many strong performances with good results in the GC in Tour of gabon (UCI 2.1), Ireland or Tour of China. KOM Ireland jersey. Patrick Lechner sprints to the next podium for STRADALLI-BIKE AID. Last nights criterium in Rülzheim Germany he could only be beaten by Marcel Fischer and Simon Nuber while Niko Holler team Stradalli- BIKEAID ranks 6th. 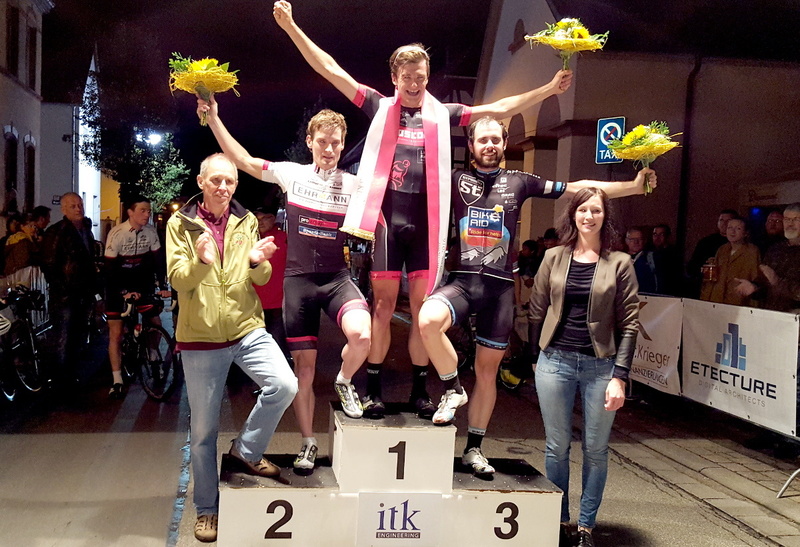 It was already late evening, under the floodlight of rülzheim that illuminated the Crit course with lots of corners, when Patrick Lechner stepped up again to the podium. He just finished 3rd in the criterium before and managed to fight against the two leading criterium-teams Möbel Ehrmann and Racing students who showed up with a squad of 8 racers . After 15 laps in front of the pack, Patrick gained already lot of points and cash money that he could only be beaten in a hard final sprint by Marcel Fischer (Racing Students) and Simon Nuber (Möbel Ehrmann). A great result in a great race where Nikodemus Holler rounded the night up with his awesome 6th place.